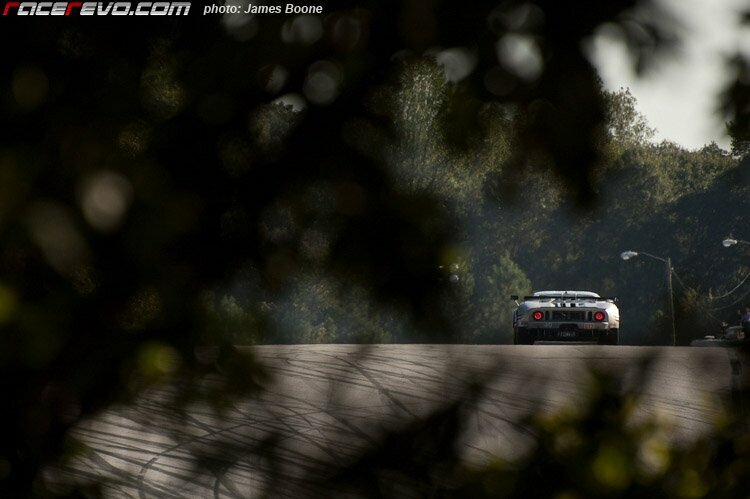 Back in October 2010, James Boone was at Road Atlanta to witness one of the historic races in America, the Petit Le Mans. It was one of the scheduled rounds in 2010 American Le Mans Series. What he came back with was some of the most inspiring photographs that has not been featured yet at racerevo. If I recall at that time we are having one of the busiest times at events and restructuring of our website. So without further a due, I invite you to travel back in time through James Boone’s lens. The crest of the aptly named Spectator Hill as group of GT cars pass through. The strength of ALMS is a showcase of different brand of cars that makes one make series looks pretty flat in comparison.